Tube drivers on the Piccadilly Line are set to hold fresh 24-hour strike action in a row over staffing and working conditions. The RMT Union has urged members to walk out at 12:00 BST on 7 November until noon the following day. The union's general secretary Mick Cash said it had become "frustrated" with Tube bosses' handling of a "full raft of issues". 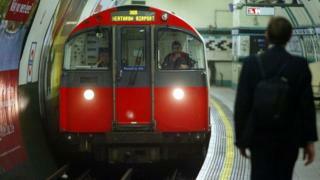 Transport for London (TfL) said it was "disappointed" with the new strike. Drivers on the Piccadilly Line carried out a 48-hour strike last month which disrupted the journeys of thousands of passengers. Mr Cash said: "We are frustrated with the slow and tortuous process when it comes to getting the Piccadilly Line management to address the full raft of issues at the heart of this dispute." Nick Dent, from London Underground, said bosses had met with the RMT in a bid to solve the issues. He added: "We are disappointed that the RMT leadership have taken the decision to name new strike dates during these constructive discussions, and urge them to continue to work with us to resolve this dispute and spare our customers further disruption."